The musical is becoming an accepted part of academic curricula. For years, it was strictly the domain of the all-school production. More and more, weve been seeing it take its proper place in the study of the American Theater tradition. 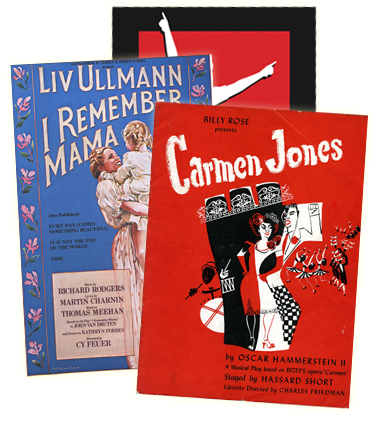 From colleges and universities to high schools -- even elementary schools -- educators are delving into the remarkable body of musical theatre literature as tools in their classrooms. Along the way, it is the educators who are leading us, the rights holders and watchdogs, helping us find the best way to bring our musicals to their students. Since it is a different thing to witness whats actually going on inside a classroom, I was delighted to accept an invitation to spend a day at the Boston Conservatory this winter. I had met its dynamic new President, Richard Ortner, last fall. What I thought would be a meeting of obligation very quickly became a passionate discussion of music, theater, Boston, musicals, archives -- you name it. He struck me as one of those optimistic realists who can get almost anything accomplished by sheer willpower. He asked if I could partake in a colloquium about the future of the Boston Conservatory and attend a class in which students were studying Rodgers and Hammerstein. The Boston Conservatory is housed in one of those wonderful row houses on the Fenway that feels like it belongs a couple of blocks off Londons Regent Park. One step inside and you realize it wasnt built to be a music school (a private hospital, actually) so you just have to overlook the serpent symbol in the stained glass windows of the room that passes for a classroom studio. They offer a degree in musical theater performance which, I was told, is a source of pride to the school. I guess it was logical that they should devote at least a portion of a course to two major writers of the genre. Two things struck me right off. First was how good these students were. They performed excerpts from R&H musicals and approached them as scenes in a play and their acting choices were very interesting. Second was how good scenes from Rodgers & Hammerstein musicals are for study. 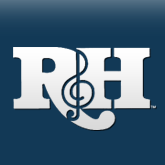 The head of the musical theater department, Neil Donohoe, said that his respect for R&H grew exponentially once he started teaching this class. He realized that there is a lot more going on than one may think of right off. Over the morning, he added some extremely smart observations. First was the scene from THE KING AND I with Mrs. Anna and Lady Thiang just after ""Shall I Tell You What I Think of You?"" leading up to ""Something Wonderful."" The two students kept trying to make the characters relate to each other, and I realized the scene is about not relating to each other. When the scene begins, Mrs. Anna is spent. She has told us everything she has to say on the subject of the King. But Lady Thiang is in trouble. She must get Mrs. Anna to listen to her and go to the King. Mrs. Anna is fed up. The give and take is fascinating. Lady Thiang tries everything she can think of to say, gets nowhere, and then, in controlled exasperation says: ""What more can I say?"" So she sings. (And very well, I might add, especially since it was 10:30 in the morning!). ""Shall We Dance?"" was performed, complete with dance and costume. The chess-game nature of the relationship between Mrs. Anna and the King was readily apparent. What hadnt occurred to me before is how appropriate -- and different Rodgers music is for each character in ""The Song Of The King"" at the beginning of the scene. The Kings music is clunky; hers is sweet and English. The whole sequence goes by so quickly, but how brilliantly written it is! The scene had been well directed; what was apparent was that there were many ways to play the chess game. I longed for them to explore a lot of other possibilities. I had never seen ""Suzy Is A Good Thing"" from PIPE DREAM performed in context before. The students did a really good job, and this time their work illuminated yet another aspect of an R&H show for me -- in this case, why PIPE DREAM didnt work as a show. Fauna is PIPE DREAMs version of the older, wiser woman who appears as a secondary character in many a Rodgers & Hammerstein show. She is a facilitator who is always there at just the right moment to help one of the lead characters see the light. Shes Nettie Fowler in CAROUSEL singing ""Youll Never Walk Alone,"" the Mother Abbess in THE SOUND OF MUSIC (""Climb Evry Mountain"") etc. In PIPE DREAM, she is the lead -- by design. Thats a mistake. In ""Suzy Is A Good Thing,"" she tries to motivate Suzy to have confidence in herself. Its a pep talk, and by the end Suzy feels better. But if were being asked to follow the story of the person who assists everyone else, how ultimately satisfying can that character, and the show, be to an audience? The OKLAHOMA! scene with ""I Caint Say No"" was a definite crowd pleaser. (It always is, if well done.) The two students understood two major points of the song: first, that Ado Annie enjoys the new-found feeling of being suddenly attractive, and second, that the scene is as much about Laurey listening as it is about Ado Annie talking. Unlike ""Something Wonderful,""this time the listener and the performer are in similar situations, although they are approaching it very differently. The staging the students created for Laurey was a little busy (I kept thinking ""trust the material"") but it was aimed in the right direction. She had stage business to occupy her while her friend went on and on. What came across was someone trying to ignore whats being said -- yet taking in every last syllable. And they were smart enough not to fall into the trap of making the wrong assumption that Ado Annie is a nymphomaniac. By the end of the morning, I was exhilarated. I had learned a lot. The class was clearly learning a lot. To see a group of excerpts done by acting students hoping for careers in the musical theater, and to see a place like The Boston Conservatory taking musical theater seriously, made me feel very positive about the future.